HI all, picked up the Horizon carbon T-28, great packing, assembly in less than a hour, looks good, only one snag, no markings on the motor wires for hook up, see pics. Sang because no motor "Color" markings on the motor "or" ESC? This is not a snag and it would be a great exercise to have the motor / ESC / Receiver / Battery all activated before you assemble the model to make sure all Electronics work before committing to taking all out from the box, just in case something with Electronic System does not work. 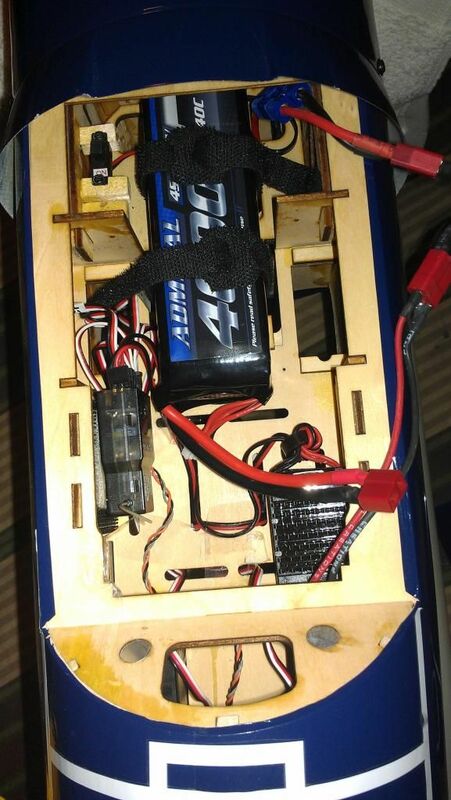 This is what I do for all my new models and I go ahead and test motor / ESC / battery / Receiver / Transmitter all in one system to make sure it works. Should there be something wrong with a servo, I just replace but, at least the major command and control has been checked out. Additionally, the rotation of the motor is checked while testing as described above and if the motor is spinning the wrong way then, all you do is switch two wires between Motor / ESC. If you check my attached picture of my motor if has COLOR CODED orientation (Yellow, RED, BLACK)! Check the ESC again, as there must be some sort of markings to align with the Color Coded marking on the Motor Wires (Yellow, Red, Black)! Check the flap linkage on the left wing. Have seen several so far with the same issue. On full down deflection the z-bend on the servo arm will drop under the servo cover and get stuck there causing the servo to bind and fail . The fix is to cut or file a notch in the cover to allow the end of the linkage to pass freely. This will happen when binding the plane with the flap switch in the wrong position or if you want full scale-like flap throws. HI, the speed controller has A B C, the motor has colours, how do you match them together. Plug them in any way you want. 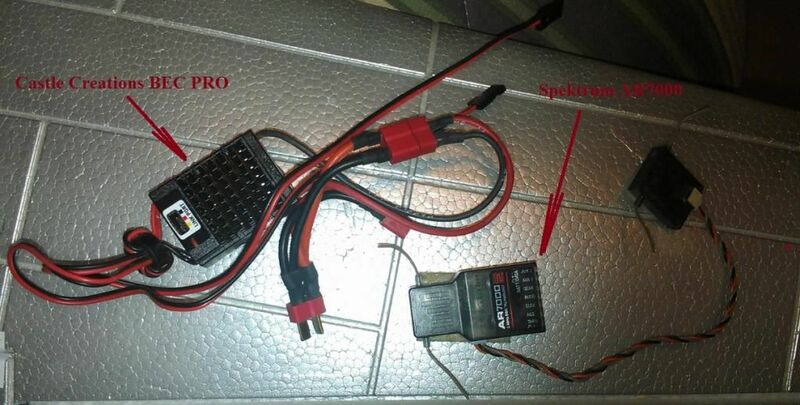 After you have bound the plane and start checking controls ,etc,,,if the motor is turning the wrong way simply swap two of the wires and it will rotate in the other direction. TAKE OFF THE PROP FIRST!!! Do you have a picture of the notch or cut out you are referring to on the servo cover just incase someone ask down the road. I just got mine and I am pretty impressed with it. Now, my only question is how long is it going to be before they come out with a T-28 for a 50cc-60cc gas motor. If they do, I can tell you right now I will order mine on day one. Here is the cover with the added notch. Thanks for posting that. It is only on the left? I haven't even taken mine out of the box yet. Also, just wondering for those who have built their T-28's. Is the wing made to come off for transport or is it more designed to be transported with the wing on? The reason I ask is I know it is designed to "come apart" in the reverse order it is was built, but unlike my giant scale stuff that has blind nuts, I'm assuming these wing bolts just are threaded into plastic. The 2-piece wing installs with 4 metal bolts into a nylon/plastic block. Easy assembly . Has any found a scale 3 blade prop yet that will work on this plane. Electrics are not my strongest part of the hobby since I fly turbines and giant scale gas. I know how to prop gas planes but when it comes to electrics I am not sure if you would use the same principle on prop sizes. I don't know what would be to big a diameter or pitch as to not overload the motor. Thanks. Also, just an FYI. I am sitting here assembling my Carbon Z T-28 and I have found on mine I had to notch the flap servo cover on the right wing if looking at the plane from sitting inside the cockpit. Same notch as above, just the right wing. Also, the motor install addendum has an error. It says to install the motor using 4 screws from Bag B. That is incorrect. Use the screws/bolts from Bag C as stated in the manual. Also, has anyone had cowl clearance issues? I am finding my cowl doesn't want to go on very easy and seems to be rubbing in the dummy radial somewhere so I might has to make some extra clearance there as well. Master Airscrew makes 3-blade plastic props.The are made for gas/glow but they will work on this large motor,,,13x8,14x7,14x9. Xoar makes 3-blade wood props for electrics PJI-E in a 13x8 and 13x8. 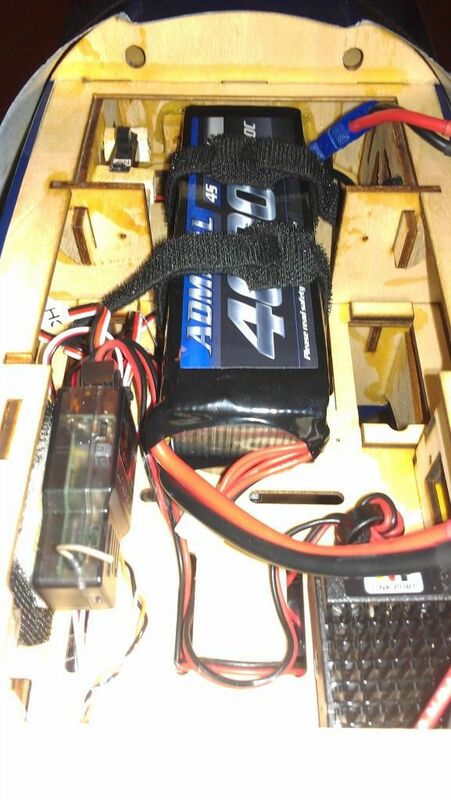 Get a watt meter to check the load on the esc as the 3-blades will demand more from the motor. Also, the cowl is hard to install. Had to use some force to get it on and seated. Last edited by flyinwalenda; 08-23-2015 at 08:52 AM. Did the maiden flight yesterday and all I can say is I am very happy with this plane. The control throws set up per the manual were spot on and the elevator to flap mix was perfect with no pitch change. I am using 6s 5000mAh Turnigy batteries 40-50C with the battery all the way forward on the tray and the cg was right on the recommended measurement. Now I can't wait for the new version of the 1.2M T-28 (48" wingspan). As stated above, I just hope Horizon releases a 50-60cc true giant scale T-28. Also, does anyone know if anyone has put beacons in place of the white foam humps behind the canopy and also on the bottom of the fuse? It would be nice to put a "rotating" beacon in place of those for a better scale look. [HR][/HR] Looks like there may be another issue with this plane. In two weeks two planes went in under similar circumstances. The first was late last week and the second was today. The first plane had around 15 flights and the second around 25 and both had a very experienced pilot at the controls. Both planes lost power to the control surfaces and nosedived into the ground.....total losses. Both planes were not abused and were flown and landed normally by well trained pilots. The first plane was reported flying fine ,then loosing all control and watching it nosedive into the ground. The second plane today was reported flying fine and the pilot turned the gear down to check for landing and nothing happened. He cycled them once and still nothing. He cycled them again and then he lost all control to the plane and it nosedived straight into the ground. Had a chance to go over the remains this afternoon and checked everything that was left. When we got to the retracts we think we found the problem. One main retract was not working and that could have been due to the crash, the other main and the nose gear were working. Note that all gear were not bent or hanging up in any way.They were still in the closed position and seated properly with no noticeable damage. We tested each retract and of course the one main would not work but the others extended and retracted fine with no odd noises or binding. We connected an amp meter to each retract and the nose gear was drawing around 0.25amps through the cycle ...which is normal. The working main gear was drawing around 2.6 amps ! Of course there was no draw on the non-working main. Several more tests with the same results....high current draw from the only working main gear. At this point it looks like the main retract or retract(s) failed and pulled too many amps and in turn overloaded the BEC (thermal shutdown)and shut down power to the receiver. The retracts from the first plane were checked and again all retracts were in good physical shape. All worked however one main was drawing very high amperage intermittently . I would advise anyone flying this plane to get a Nixx battery pack and a switch and install them in the plane as there is plenty of room. Wire the switch with a Y-harness to power only the retracts.Remove the red wire from the Y plug that goes to the receiver so you don't backfeed voltage. If this is not an isolated incident and the retracts are a problem waiting to happen ,the separate retract battery will handle the overload and not cut power to the receiver so you can control (and save )your plane. Well it seems like a few are having issues with the Main Gear, In any case, for those that Love this model and don't mind those reports that we can't determine if they are isolated cases or not and want to own and fly this large T-28 Trojan of the sky then, consider using Castle Creations BEC PRO! This will provide pretty much carefree flying for your larger aircraft needs short of having a traditional separate RX battery and switch harness. I maidened mine with no issues on Sunday. I have added a battery backup (standard operating procedure) and 3amp fuse in each retract line. Performed a maiden for a gentleman today on this plane. Being an experienced warbird pilot, everything was checked and rechecked ala full scale. After a scale takeoff the plane rolled over and went in when it was about 15 feet off of the ground. Seemed to be from loss of power to the control surfaces, Local hobby shop is contacting Horizon. [HR][/HR]If this is not an isolated incident and the retracts are a problem waiting to happen ,the separate retract battery will handle the overload and not cut power to the receiver so you can control (and save )your plane. I went the other direction and eliminated the use of the built-in BEC, because that is what will fail in the current overload situation. It is not voltage loss that is the issue, it is the fact that the BEC in the ESC dies when the retracts fail. Were the retracts still down ,up, or were they cycling? That is another option to make sure power is not interrupted to the receiver and is a good thing to do for this plane. Disable the internal bec and install a second flight battery to power the receiver . Also , when a bec(voltage regulator) fails or reaches thermal overload shutdown, it does indeed stop providing voltage and in turn cuts power to whatever it is connected to. Power=Voltage x Current. In the case of an ESC with a built in bec(like this plane) the bec is the only way the receiver gets power. You misunderstood what I was saying. My fault, I should have been more clear. I was talking about voltage drop, or depression under load. Voltage depression is not culprit in most cases, it is a failure of the BEC, either temporary or total. Which is why I don't use the things. Another thing I have done on mine is to replace those tiny wires on the "Y"s, especially for the retracts. I went to 20 gauge ones which should be plenty robust. Those E-Flite light gauge Y's concerned me.